This is a postcard from my mother's collection. I picked these at random to post. I am pretty clueless when it comes to pricing these postcards. 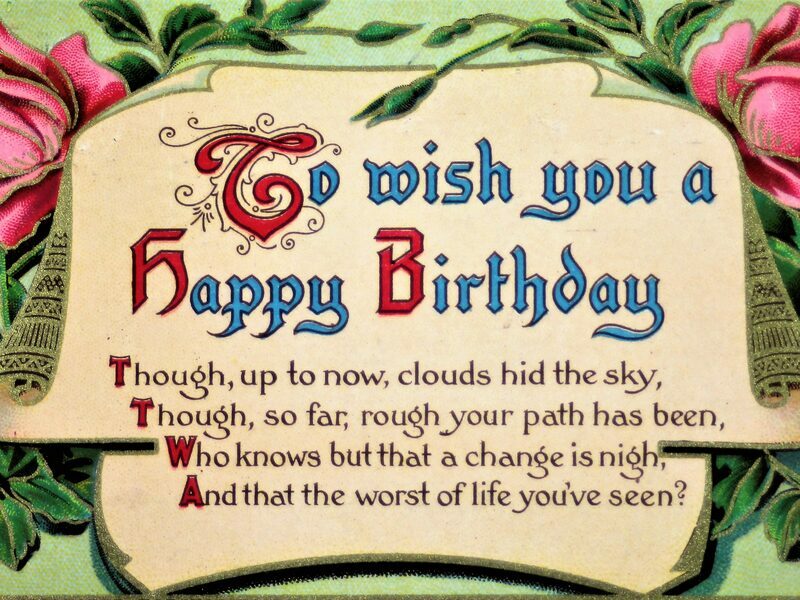 A Happy Birthday postcard greeting. 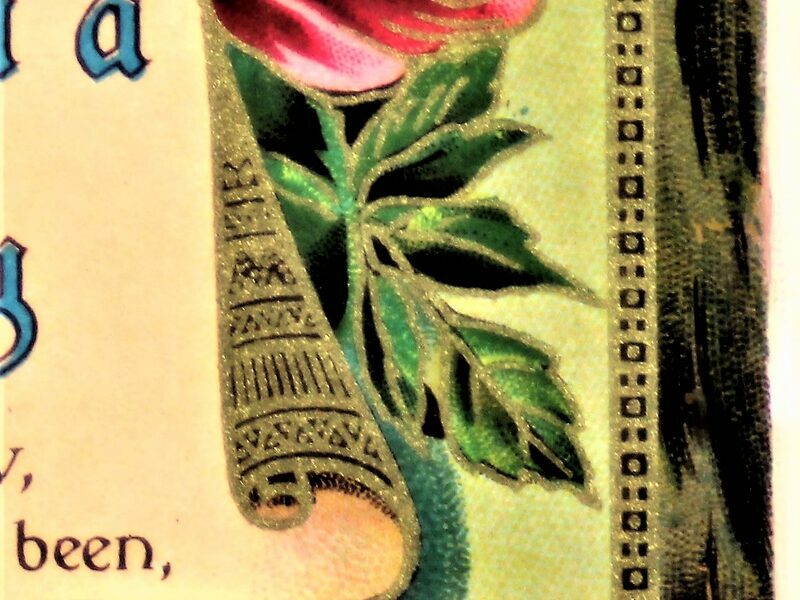 A colorful pink and green with red and blue script, all enhanced with gold. 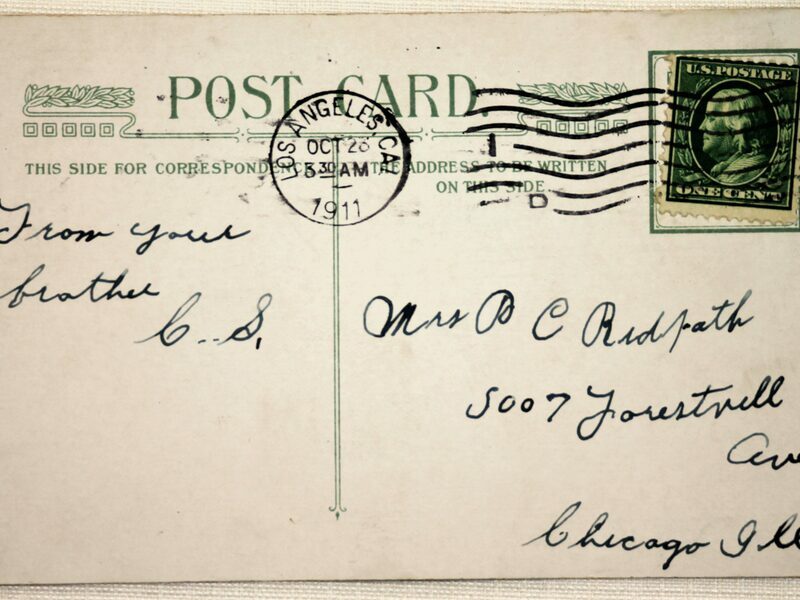 It has been postmarked 1911 on the back. I am not sure of the age, however it has a divided back. It is in pretty good shape,but there again, I am no expert. Please look at the pictures closely to identify the wear and tear. 5 1/2" in length and 3.5" width. Remember, I only charge one flat fee of $6.45 for shipping, no matter how many items are ordered at one time. Thank you.